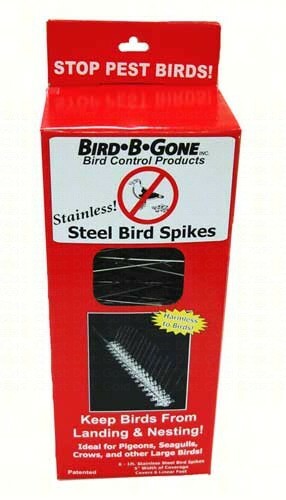 Bird B Gone Bird Spikes are physical bird deterrents used to humanely block large birds from landing. Bird Spikes are not designed to harm birds. They simply create an uneven surface that birds cannot land on.